Victoria, a southern white rhino at the San Diego Zoo, was impregnated by artificial insemination on March 22 and, if all goes well, will birth the calf in summer 2019. FLICKR, IIP PHOTO ARCHIVEA southern white rhino at the San Diego Zoo named Victoria is pregnant, the zoo announced yesterday (May 17). “The confirmation of this pregnancy through artificial insemination represents an historic event for our organization but also a critical step in our effort to save the northern white rhino,” Barbara Durrant, the director of reproductive sciences at the San Diego Zoo Institute for Conservation Research, says in a statement. Southern white rhinos number in the thousands, but only two northern white rhinos, both female, still exist and are unable to bear calves. The last male northern white rhino died in March. 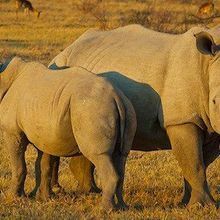 If researchers can successfully artificially inseminate a southern white rhino with sperm from a male southern white rhino now, they may be able to inseminate female white rhinos with sperm and egg cells developed from preserved skin cells of northern white rhinos in the future. Successful artificial insemination of rhinos in zoos, however, has been rare so far, resulting in only a few births, according to the Associated Press. Durrant says the procedure went “very well,” but she and her colleagues “have a long time before we can declare a real success with the birth of a healthy southern white rhino baby.” Gestation for rhinos is typically 16 to 18 months, so the calf would be born next summer. 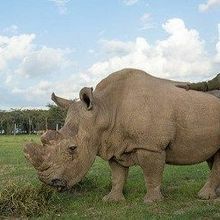 Work on converting the preserved cells of northern white rhinos into stem cells that could develop into viable sperm and eggs cells began in 2011. 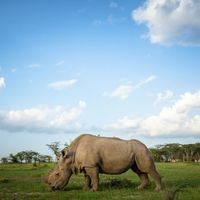 Scientists are also working on sequencing the genome of the northern white rhino to understand how it differs from the genome of its closest relative, the southern white rhino, according to the statement. 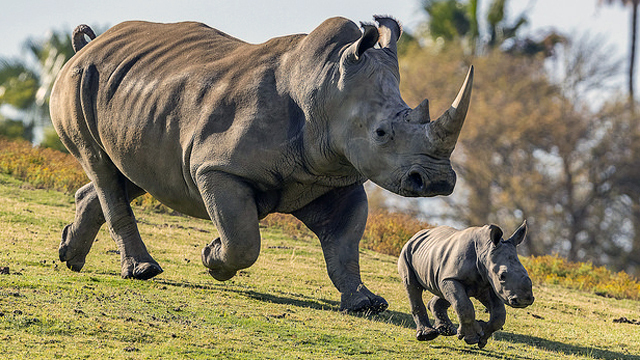 The team anticipates the birth of the first northern white rhinos in 10 to 15 years.